OPPORTUNITY TO OWN THE LAST REMAINING LOT IN THE DEVELOPMENT THAT OFFERS DEEDED BEACH ACCESS FOR OWNERS, GUEST AND RENTERS! 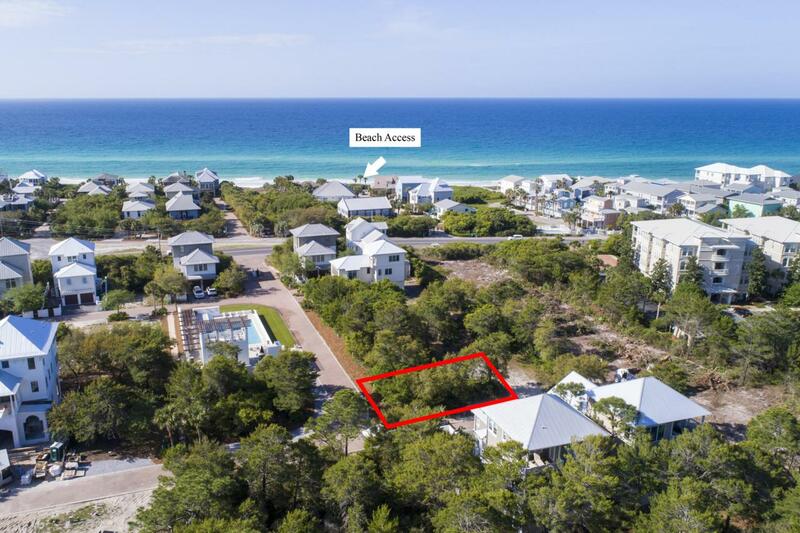 Enjoy this PRIVATE GATED COMMUNITY in the heart of Seagrove Beach! Nestled between Scenic Highway 30a and State Forrest and just a short drive to Seaside, this neighborhood is a truly a hidden gem! With its amenities, ideal location as well as the privacy that comes from an exclusive gated community, you have everything you need to build your custom beach home. Enjoy a day at the beach with DEEDED BEACH ACCESS available through Sea Turtle Drive, or spend your days lounging at the gorgeous INFINITY POOL with Terrace, Fireplace and Grilling area. This CORNER lot sits directly across from the community pool and will offer great views!The community has recently approved a 3 day minimum rental offering more short-term rental potential and no build out time! While thought to be accurate, buyer should verify all data and dimensions.